Home > Melinda C. O’Rourke, M.D. Dr. Melinda O’Rourke received her Bachelor of Sciences degree from the University of Colorado (CU), Boulder, in 1980 and her M.D. degree from the University of Colorado School of Medicine in 1984. She is a member of the academic honorary societies, Phi Beta Kappa and Alpha Omega Alpha. From 1985 to 1987 Dr. O’Rourke was a general practitioner and active in ophthalmic research at CU. Her research was published and presented at professional meetings in British Columbia and Oxford University in England. Dr. O’Rourke continued post-graduate training at CU, completing her Ophthalmology Residency program in 1990. Board certified by the American Board of Ophthalmology since 1991, Dr. O’Rourke practiced ophthalmology for 15 years before opening the Northwest Eye Center in October 2005. Dr. O’Rourke has performed laser vision correction since FDA approval in 1995, and has over 20 years of surgical experience, including cosmetic upper and lower eyelid blepharoplasty. During the mid-1990’s Dr. O’Rourke was one of the first surgeons to perform CO2 laser skin resurfacing, and since then, her interest and experience in cosmetic procedures has evolved, with an emphasis on promoting healthy skin through technology. She opened Northwest Laser Skincare in 2006, which has recently transitioned into Essence Laser & Wellness. 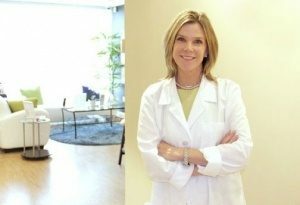 Dr. O’Rourke feels very fortunate to have the opportunity to offer a wide spectrum of services at Essence with assistance from her professional, and highly trained staff, and yet she still remains intimately involved with the care of every patient, and performs all injectable and surgical procedures herself. The services offered at Essence reflect Dr. O’Rourke’s philosophy of maintaining not only healthy skin, and eyes, but a healthy body and state of mind as well. Volunteering her time at the Stout Street Eye Clinic over the past 10 years, Dr. O’Rourke brings eyecare to the homeless in metro Denver. Since 1999, she and husband, Paul, have been active participants with Vision Health International, participating in numerous cataract surgery projects, providing indispensable eye care to those in need in Latin America. Dr. O’Rourke also serves on the Board of Directors at the Red Rocks Community College Foundation, which provides academic scholarships to non-traditional students who need a second chance. In 2010, Dr. O’Rourke was awarded the prestigious Ethics in Business Award, presented by US Congressman Ed Perlmutter, and was recognized by the then Speaker of the House Nancy Pelosi for her volunteer work. Dr. O’Rourke is a member of the American Academy of Ophthalmology, American Society of Cosmetic Dermatology and Surgery, and the American Society of Laser Medicine and Surgery. Married since 1984, Dr. O’Rourke has two children, Davis and Catherine. She enjoys running (with Golden Retriever, Owen), yoga, pilates, skiing, and traveling to places where she doesn’t understand the language.